Following the merger with Radio Atlanta, the original Radio Caroline ship MV Caroline, after having transferred some of her DJs and a supply of records to the Mi Amigo, sailed on 3rd July, under the command of Captain Hengeveld, heading for a new anchorage in the Irish Sea. The ship kept outside territorial waters and the DJs left on board, Tom Lodge, Jerry Leighton together with Panel Operator/DJ Alan Turner continued broadcasting as normal during the voyage through the English Channel and northwards up the Irish Sea. 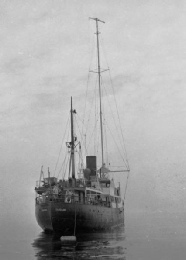 Captain Hengeveld regularly came on the air to keep listeners up to date with the ship's progress and announce approximate times of arrival off specific coastal towns. The MV Caroline created a lot of interest, with listeners flashing their car headlights at the ship from various vantage points and a local boat owner in Cornwall even took a supply of newspapers out to the ship as she sailed past Padstow. By 8.00am on Monday 6th July 1964 the MV Caroline had reached Anglesey off the North Wales coast and anchored in Ramsey Bay off the northern coast of the Isle of Man later that afternoon. 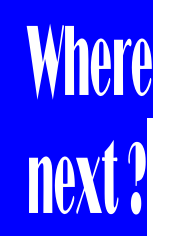 From this position the station, using the call sign Radio Caroline North, could reach the north and Midlands of England, most of Wales, south west Scotland and much of the north and east of Ireland. With the two sister stations Radio Caroline was now able to offer audiences and advertisers what was, in theory, a national daytime commercial radio station. 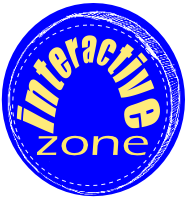 However, the North and South stations each broadcast their own independent programmes and developed quite separate identities. Shortly after the merger Radio Caroline moved its administrative headquarters from the Queen magazine building in Fetter Lane to a large three storey building at 6 Chesterfield Gardens - renamed Caroline House - in the heart of London's Mayfair. But, because of the volume of mail generated as a result of the huge national audience, increased interest from advertisers and the logistical problems of supplying and staffing two ships, Radio Caroline soon opened a second office, at 61 Lord Street, Liverpool, to service the needs of the northern station. 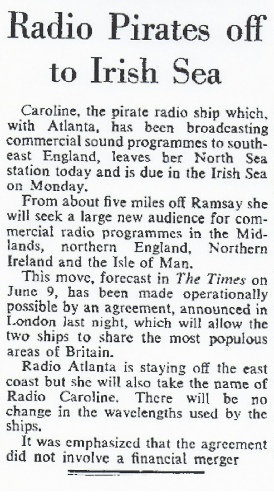 At the same time listeners to Radio Caroline North were invited to send record requests and mail for the DJs direct to an address in the Isle of Man - PO Box 3, Ramsey - from where it could be taken out to the ship on the tender. The Liverpool office also established a northern sales team who sold airtime to 'local' advertisers in the reception area of Caroline North. The arrival off the Isle of Man of the MV Caroline with her powerful 20Kw transmitter upset the Island's recently opened (legal) local commercial radio station, Manx Radio. This station, then broadcasting on VHF (FM) only with a power of just 50 watts, complained to the Post Office about interference to its transmissions allegedly caused by Caroline North's powerful me dium wave transmitter. Manx Radio was Britain's first licensed commercial radio station and had started experimental broadcasts, in early June 1964 as the result of a prolonged pressure campaign by local businessmen on the Isle of Man which enjoys a certain amount of independence from the British Government in the conduct of its internal affairs. Ironically the practical extent of this independence was to be acrimoniously tested a few years later, precisely because of Radio Caroline's presence off the Island's coast. 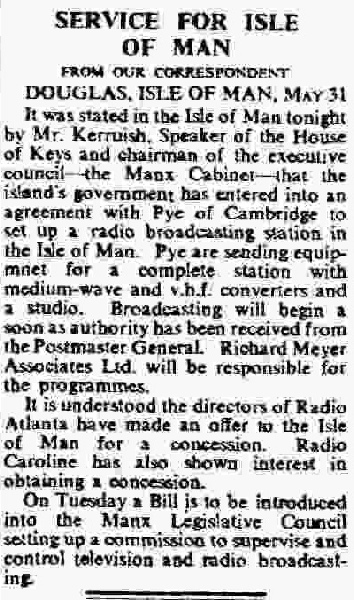 In May 1964 the British Post Office issued a temporary licence authorising Manx Radio to make experimental broadcasts on VHF (FM) only, from a temporary studio housed in a caravan. Experimental transmissions by the new local station, consisting of four hours a day of music programmes, then continued throughout the summer of 1964 . However, this signal was only effectively covering about half the Island and the number of listeners then owning radio sets capable of receiving VHF (FM) broadcasts was estimated at just 2,500. The company operating the new local station complained about the frequency and power limitations allocated to them in the light of Radio Caroline's arrival off the Island. Consequently in October 1964 the Post Office issued Manx Radio with a further licence to broadcast in the medium wave band, but using a power of just 50 watts, and transmissions on this frequency started in November 1964. The original studios of Manx Radio, housed in a caravan. Manx Radio’s first studio leaving the Pye factory in Cambridge where it had been custom built. The Isle of Man relies on the British Government for the conduct of its external affairs such as defence, foreign policy and international agreements, but it legislates for its own domestic affairs and has its own judicial and monetary system, all administered through Tynwald, one of the oldest democratically elected parliaments in the world. The Island's domestic laws in fact closely follow those of mainland Britain although sometimes important differences are agreed by Tynwald and it was one of these which resulted in the establishment of Manx Radio. In 1959 Tynwald had authorised the establishment of a 100Kw medium wave radio transmitter on the Isle of Man to boost the Island's economy and tourist trade and to provide a base for advertisers wishing to reach a large audience on the British mainland. The service would have been a competitor for the BBC and in many ways paralleled the pre-war commercial broadcasts to Britain from continental Europe. However, because the Island's Government had also adopted the provisions of the Wireless Telegraphy Act of 1949 a licence from the British Government's Postmaster General was required before any such radio station could be established. The British Government not surprisingly refused to issue a licence for a high power medium wave transmitter but did, somewhat reluctantly, offer a licence for a local station, provided its signal was transmitted on such a low power that it could not be heard on the mainland. This propositio n for a low powered station was not thought to be commercially viable at the time and nothing more happened until 1964 when two businessmen, Richard L Meyer and T H Colbourn, together with the communications conglomerate Pye Ltd., formed a new company - the Isle of Man Broadcasting Co. Ltd. - to establish and operate a local commercial radio station on the Island. Mr. T H Colbourn was a local radio and television retailer and as a member of the Manx Parliament had for some years promoted the idea of the Island having its own commercial radio station. Richard L Meyer had been involved in commercial radio during the 1930s as General Manager of Captain Plugge's International Broadcasting Company, which had beamed programmes to Britain from various European land-based transmitters . In May 1964 the British Post Office issued a temporary licence to the new company authorising it to make experimental broadcasts on VHF (FM) only, from a temporary studio housed in a caravan. The first broadcast, under the call sign Manx Radio, took place on 5th June 1964 and consisted of a commentary on the world famous TT motorcycle races. Experimental transmissions by the new local station, consisting of four hours a day of music programmes, then continued throughout the summer of 1964 on VHF (FM). However, this signal was only effectively covering about half the Island and the number of listeners then owning radio sets capable of receiving VHF (FM) broadcasts was estimated at just 2,500. The company operating the new local station complained about the frequency and power limitations allocated to them in the light of Radio Caroline North's arrival off the Island. They pleaded in a telegram to the Prime Minister and the Post Master General "If you are unable to check Caroline please give us a chance to compete by allocation of comparable medium wave lengths and power." Consequently in October 1964 the Post Office issued Manx Radio with a further licence to broadcast on 1594kHz (188m) in the medium wave band using a power of just 50 watts, and transmissions on this frequency started on 23rd November 1964.